Beautiful scenery can be truly moving, stirring deep-seated emotions and feelings of unity and oneness. 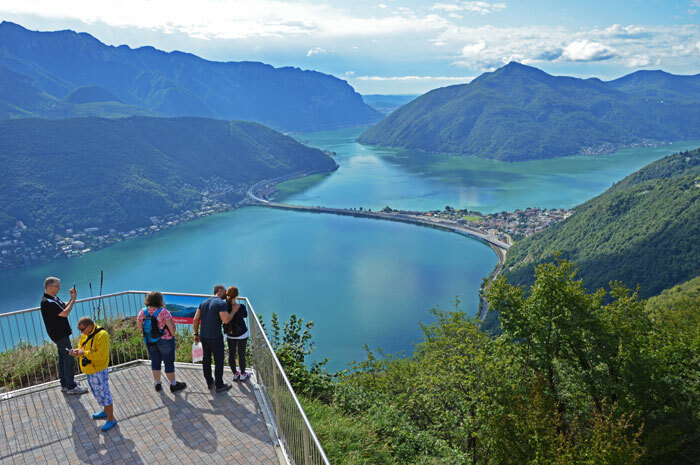 From the top of Mount San Salvatore, the views are especially impressive and magnificent, extending 360 degrees. In addition to the existing lookouts, the visitor has access to an exclusive terrace near the Restaurant Vetta that turns like a “crown jewel” to the south. It is a renovated panoramic viewpoint, spectacular, well-kept, safe and always accessible, which also thanks to information boards with geographical satellite maps acts as a meeting point for visitors.